Petrit Halilaj (b. 1986, Kostërrc, Skenderaj-Kosovo) lives and works in Berlin and Pristina, Kosovo. He studied fine arts at the Brera Academy in Milan. 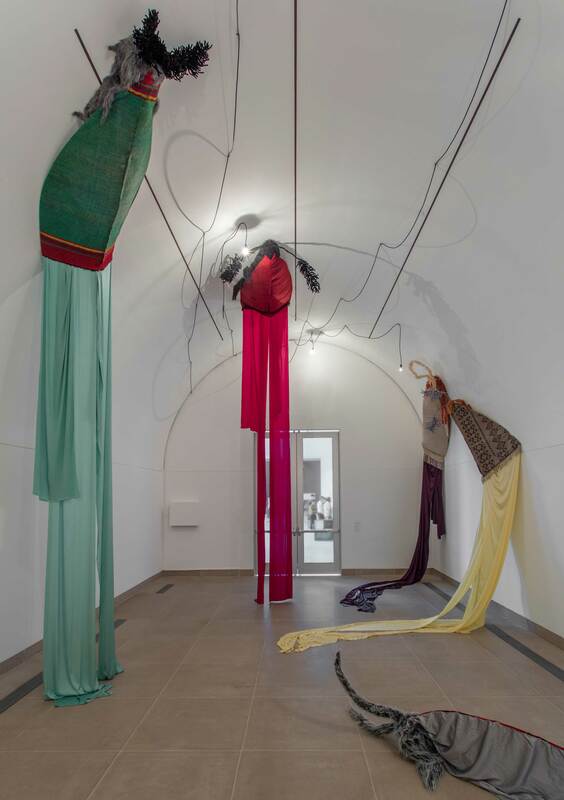 He has had solo exhibitions at institutions such as the New Museum, New York (2017); kamel menour, Paris and London (2017; 2014); Hangar Bicocca, Milan (2015); Kölnischer Kunstverein, Cologne (2015); Bundeskunsthalle, Bonn, Germany (2015); ChertLüdde, Berlin (2014, 2011, 2009); Kunsthalle Lissabon, Lisbon (2014); WIELS Contemporary Art Center, Brussels (2013); Kunsthalle Sankt Gallen, Saint Gall, Switzerland (2012); Kunstraum Innsbruck, Germany (2011); and Center for Contemporary Art Pristina, Kosovo. 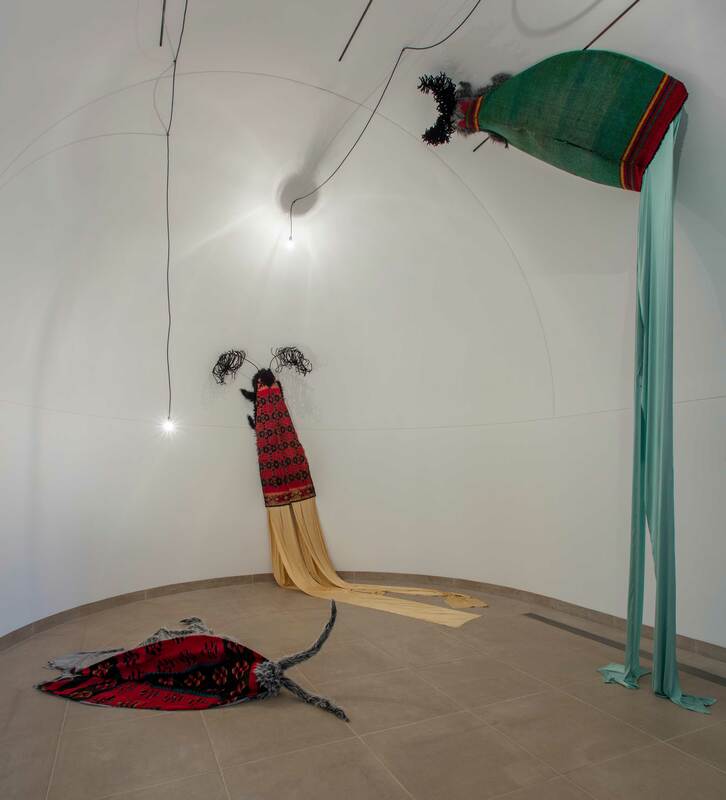 Halilaj’s work has also been included in group shows at venues such as the Venice Biennale (2017); National Gallery of Kosovo, Pristina (2015); Palazzo Grassi, Venice, Italy (2015); Centre Pompidou, Paris (2014); Galleria d’Arte Moderna, Milan (2012); New Museum, New York (2011); and the Berlin Biennale (2010). 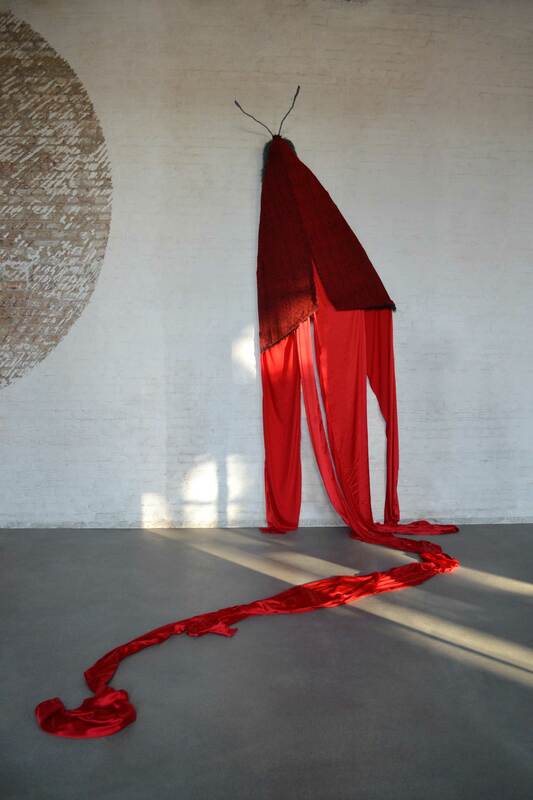 In 2013 Halilaj represented Kosovo in the nation’s pavilion at the Venice Biennale. In 2017 he was awarded the Mario Merz Prize and the Smithsonian Artist Research Fellowship, and he received a special mention from the jury of the 57th International Art Exhibition of La Biennale di Venezia. Petrit Halilaj, Do you realise there is a rainbow even if it’s night!? One’s home—the actual house as well as the land, the people, the culture, and the nation—functions as an anchor, and if it functions well, it provides a sense of security and belonging. When we are exiled and taken away from home, our memories and souvenirs take on a deeper meaning, sometimes providing the only evidence that a home existed. Petrit Halilaj and his family were forced to flee their home during the Kosovo War, and that experience of displacement has surely contributed to his continued interest in his homeland. (He and his family eventually returned, but things were not exactly the same.) 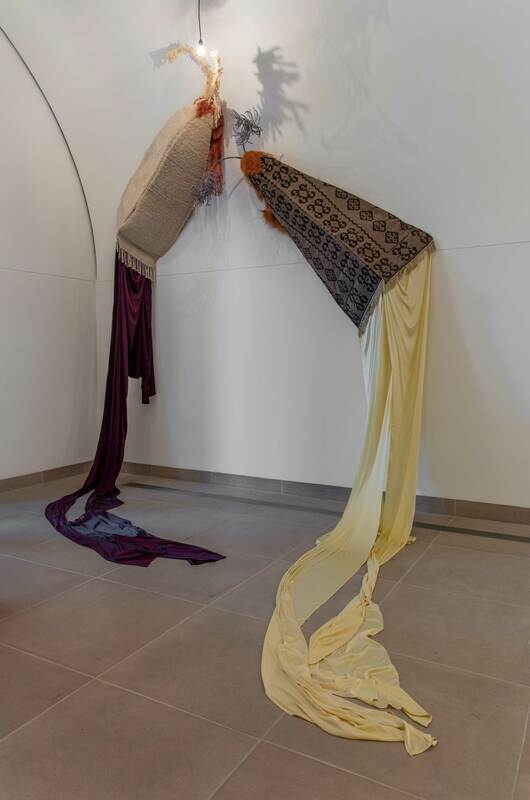 Halilaj has made drawings, performances, sculptures, and installations inspired by the land, the region’s history, its inhabitants (primarily animal and insect), and its various methods of commemorating and preserving the past. His personal tales provide the raw material for surprisingly hopeful and whimsical works that celebrate life and the living while honoring the past and the people, animals, and places that have been lost. Rather than focus on the trauma or losses incurred in his childhood, Halilaj instead weaves cobwebs into gold. When recounting the stories of his family’s exile from Runik during the Kosovo War and their time spent in Albania as refugees, he doesn’t express anger or bitterness. Instead he fondly recalls how everyone marveled at his skills as a draftsman (he is ambidextrous and required two sheets of paper to exploit his gifts fully). He would draw birds and chickens alongside visual recollections of his experiences during the war, using both his hands. When then secretary-general of the United Nations Kofi Annan saw Halilaj’s drawings, he recognized his talent and commended the young artist, using him as a symbol of hope and the resilience of the human spirit. An early project titled Bathroom, wall, water pipes, shower rail (2008) exemplifies the significance of family and home in Halilaj’s work and life. For the exhibition he converted an art gallery in Berlin into a living space and invited his father for a visit—without revealing that it was an exhibition and was not actually where he lived. Halilaj was interested in connecting with his father on neutral ground, away from their home, where the past was constantly present. He revealed the truth to his father only after he departed. Birds and chickens are frequent subjects of Halilaj’s drawings and sculptures and of the costumes that often double as sculptures. Growing up with a yard full of chickens, he developed a deep bond with them and other birds, arguably his spirit animals. Whenever he saw any feathered friends, he’d call out, “Look at the bird, look!” And his father would respond, “Look where you’re going, not up at the sky!” The artist’s sense of wonder and his deep connection with the animal and natural worlds remain undiminished and continue to color his projects. For the 2010 Berlin Biennale, Halilaj worked with his family to build a new house in Kosovo’s capital, Pristina, that was 20 percent larger than their original home in their war-torn village. He then sent construction materials (wood slats and bricks) to Berlin and re-created the structure there. Live chickens wandered around the framework of the house, flooding the space with their scents, sounds, movements, and excrement. Along with his deep connection with birds and other animals, Halilaj’s work is deeply rooted in earthly materials. 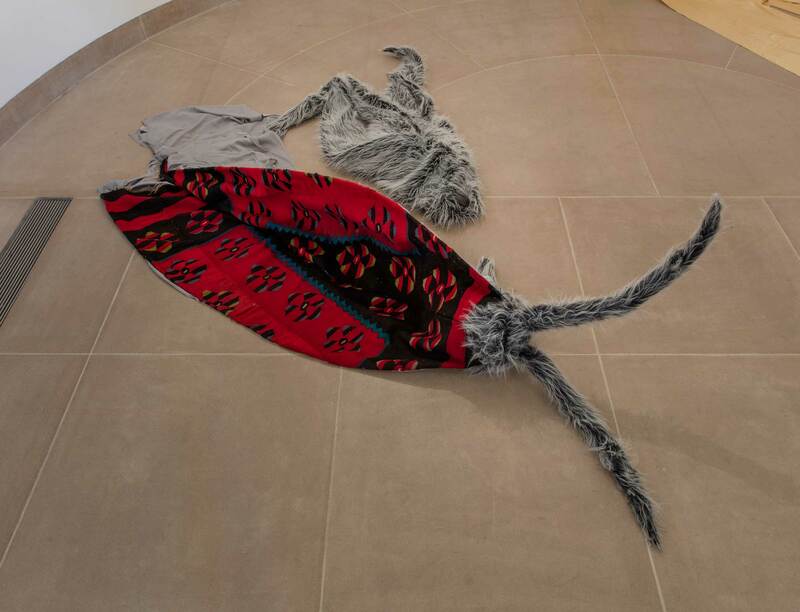 Perhaps as a gesture of anchoring himself in the land, the artist often works with dirt, wood, animal excrement, and organic fabrics. In 2011 he filled an art fair booth with sixty tons of dirt taken from the site where his family home was destroyed during the war. 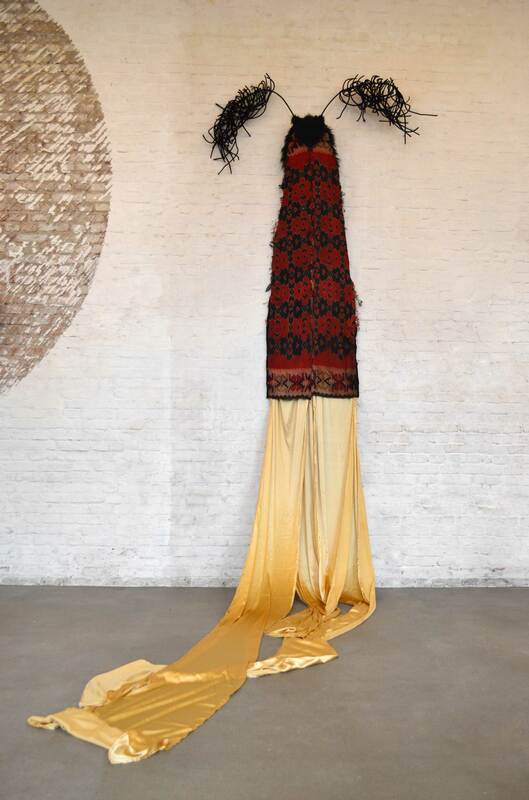 When he represented Kosovo in the 2013 Venice Biennale, Halilaj filled the national pavilion with an enormous bird’s nest that housed a live canary couple and a canary yellow woman’s suit tailored to fit the artist. Visitors were invited to view the project two at a time. Perhaps his most impactful experience relates to the Natural History Museum of Kosovo. In 2001, shortly after the ethnic conflict there (1998–99), the museum’s director, responding to a government order, removed the contents of the nature division to make space for the Ethnographic Museum of Kosovo. Some 1,800 items from the museum’s nature division, including more than 850 entomological specimens from the zoology department and more than 222 different plant species from the department of botany, were placed in cramped warehouses, where they were subject to frequent water leaks. In 2013, when Halilaj learned that the specimens had been damaged and destroyed by mold and neglect, he initiated a recovery operation to rescue and conserve these artifacts and the history that they commemorate. He documented the process, making a three-channel video and re-creating taxidermy specimens out of soil, animal excrement, and other organic materials for a project titled Poisoned by men in need of some love (2013). Bridging personal and collective experiences, a recent series of sculptures that Halilaj made for the 2017 Venice Biennale, each titled Do you realise there is a rainbow even if it’s night! ?, bring us back to the natural history project, in which one of the specimens that the artist rescued was a moth. As a young boy he was captivated by moths and their magnificent colors and spent hours chasing the insects as they swarmed around lights in the house. Pointing to them excitedly, he’d ask the adults around to lift him up so he could trap them with a cup and saucer to keep as pets. His mother recalled how they left traces of wing dust everywhere and how Halilaj inadvertently killed many of them. If any escaped or died, he would sob uncontrollably, devastated by the loss and realization of mortality. His mother remembers the story fondly, for she knows how deeply her son loves and the genuine sorrow he felt. He loved grasshoppers too, and he would peel the sunburned skin off men who worked outdoors and feed it to them. 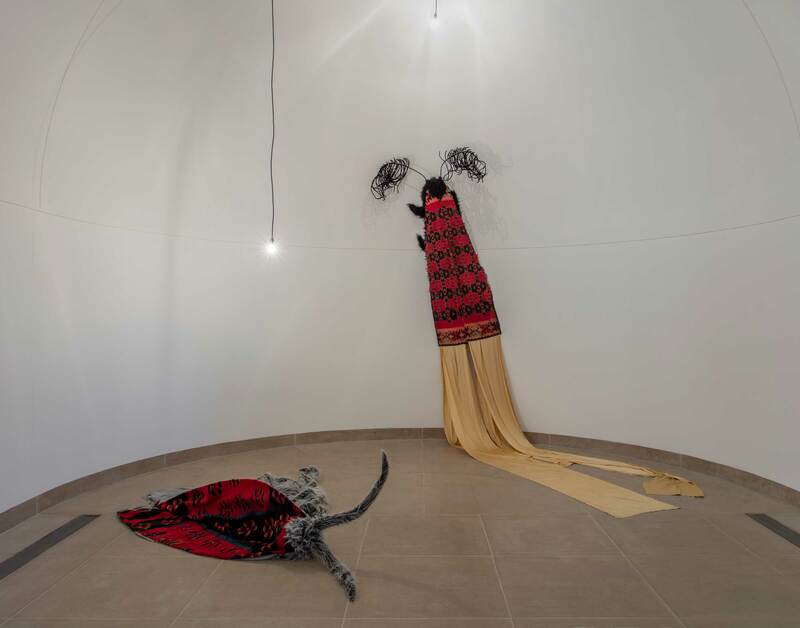 For this project Halilaj collaborated with his mother to craft monumental hand-sewn moth costumes. Using fabrics from his hometown, the two worked side by side to make a family of these oft-neglected insects on a grand scale. 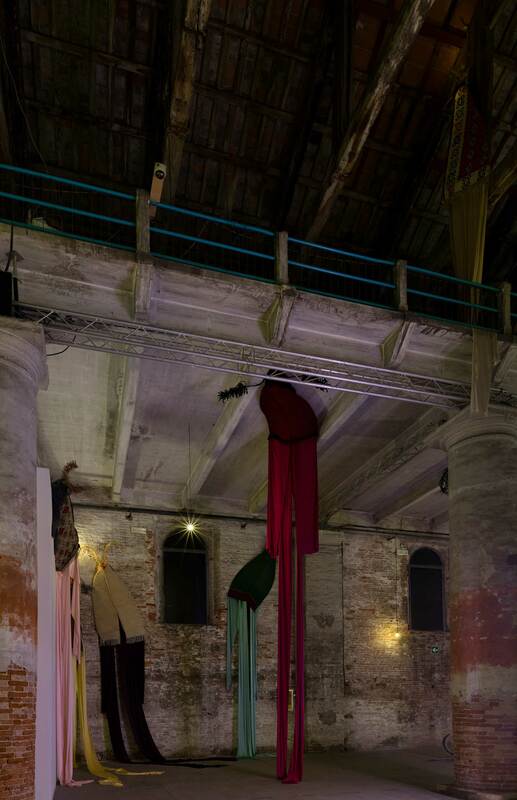 The sculptures can be worn, activated by performers, or hung from the walls and ceilings, creating a forest of floating forms illuminated by a flickering light. Sprinkling personal narratives with his magic fairy dust to create fantastical dreamworlds, mixing fiction and history, private and collective, humor and poetry, Halilaj transforms and resurrects memories and remnants of the past, casting a new light on old tales. Like that wide-eyed child captivated by moths, he delights in nature, animals, the human spirit, and beauty. From his epic endeavor of recovering the natural history museum and its collections to magical installations featuring canaries or live chickens, Halilaj, a modern-day Peter Pan, refuses to lose his inner child, and his unwavering optimism animates everything he creates. The Hammer Projects series is presented in memory of Tom Slaughter and with support from the Horace W. Goldsmith Foundation. The Hammer Projects series is made possible by a gift from Hope Warschaw and John Law. Generous support is also provided by Susan Bay Nimoy and Leonard Nimoy, with additional support from Good Works Foundation and Laura Donnelley and the Los Angeles Board of Supervisors through the Los Angeles County Arts Commission.